While working remotely brings with it many perks—setting your own hours, avoiding traffic jams, saving money on commuting—it can be challenging to make time for your health. Many remote positions involve long hours sitting at the computer, and if you’re not careful, your health can quickly slip. The following, therefore, are some tips and tactics any remote worker can implement to help ensure physical, mental, and emotional health are not sacrificed at the home office. 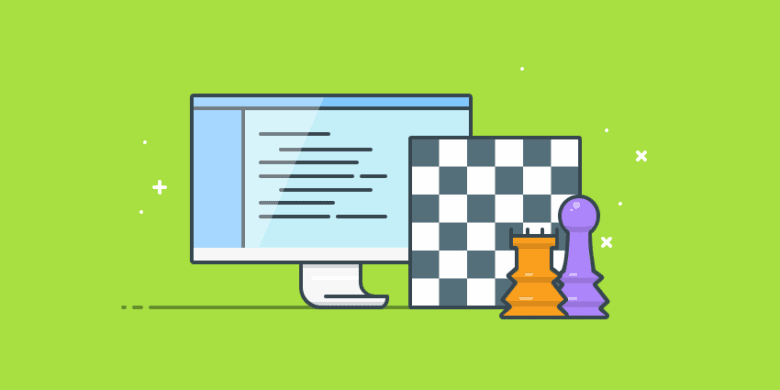 One major benefit of being a remote worker is having the freedom to set your own hours, and that’s great, but you still need to have the diligence and discipline to stick to your self-appointed schedule. Whether you like to work in the early mornings or the wee hours of the night, you have the ability to do that, but without some sort of consistent, imposed structure, it’s far too easy to work inefficiently. This quickly leads to you sitting at your computer all day and only having accomplished a few hours of solid work. A set schedule helps you work more efficiently because you feel as if you’re at work. You’re less likely to wander off and put on a load of laundry or watch a few YouTube clips if you know you’re on the clock, and this can lead to getting more work done in a shorter span of time. That leaves you with the time (and energy) to take a bike ride, walk the dog, go for a run, or hop down to a local yoga session. Exercise can also boost your energy levels, so even though it can feel difficult to start, once exercise is just another part of your daily routine, you’ll quickly find you have the motivation and vigor to keep it up. Sticking to a schedule helps you draw a clear line between your work time and your personal time. Finding that balance and making those distinctions can be one of the biggest challenges of working from home, but if you can’t find a way to get away from your work life (even though it’s right there in your home), it can be surprisingly challenging to unwind and unplug. Eventually that can take a big mental toll, which can then manifest as negative physical effects. Even if you don’t take every minute of your personal time training for a marathon or hitting the gym, that’s OK! Want to relax by watching one or two Cheers reruns? Go for it! Being healthy isn’t just about exercising. It’s a big part of it, sure, but the very act of getting away from work every day can be good for your overall health too. A strict schedule helps ensure you get adequate sleep. Yes, sometimes a giant project comes in last minute, and you have to put in long hours to get everything done. But if you consistently make sleep a priority in your schedule, you’d be surprised at how much more productive you feel and how much less susceptible you are to those nasty winter colds and flus. Finding the right schedule for you can be challenging. You’ll need to do a lot of tweaking and adjusting before you find that perfect balance, but getting it right can pay off big for your health—not to mention it can contribute to the sustainability of working remotely. Hubstaff Talent charges 0% fees! Finding the motivation to be active and healthy isn’t always easy—especially if you have to go it alone. Remember, if exercise isn’t fun for you, you’re simply less likely to keep it up, so seek out an exercise buddy! Maybe you play tennis with a friend on the weekends. Maybe you know someone else with a flexible work schedule who can go on morning runs with you. Whatever the case, having someone to be active with makes the activity itself more fun—and it makes you more likely to keep at it. It also imposes accountability on your health activities. If someone is counting on you to be at the squash courts, you’re less likely to just hit the snooze and roll over. The food you eat every day is the fuel you use to function. It’s a simple idea that almost everyone knows, but people consistently fail to put adequate stock in what they eat. If you fill yourself with junk food and sugars, you’re simply not going to have the same energy and productivity level you’d gain from fruits, veggies, and lean protein. The problem here isn’t lack of knowledge but follow-through. If it’s quick and easy to grab a fast food burger, that’s what many people are going to do. In many ways, therefore, eating right is largely about time management. So, just as you’d schedule in time for exercise, carve out time to cook your own meals. This way, you can control exactly what goes into everything you eat. Eating right also doesn’t have to be a time-consuming venture. It’s just as quick to grab a bag of baby carrots at the store as it is to grab a bag of potato chips, and if you cook in bulk and freeze portions for later, you could even get away with fewer hours at the stove. There’s also the money to consider. Eating out less means more dollars in your pocket, which can go toward healthier ingredients or even a cooking class. Lots of former mageirocophobes (people who fear cooking) find they actually really enjoy it once they start. When paired with regular exercise, eating right can provide nearly immediate energy boosts. You’ll also be able to concentrate longer—all of which leads to increased productivity and even more time you can carve out for yourself. Especially if you’re a freelancer, working remotely can be a case of feast or famine. So, again, you have to be diligent and creative about finding that balance. If you say yes to every job or contract opportunity that comes across your desk, you can quickly find yourself working far more than a standard forty-hour workweek. Maybe that’s OK for you, but overloading your schedule often means that things like personal time, sleep, and hours allotted for exercise are the first to go. If you can work long hours and still find a balance, great! However, if you’re struggling to keep up with the workload and still schedule and plan for your health, it might be time to reevaluate how you take on work. Use this step-by-step guide to learn how to hire a freelancer the right way, for free. Download Today. No Email Required. Working remotely can be a lonely venture. For many people, it means long hours alone in their home offices, which is why it’s especially important for remote workers to make time for social activities. Whether that’s with your family, friends, or other social connections, human interaction is an important part of anyone’s emotional well-being, and it shouldn’t be neglected. After work hours, this can mean joining a local exercise class with other participants, hanging out with friends, taking weekend trips with family, and more. The list of potential activities is nearly limitless. However, your social activities don’t have to be exclusively outside work. During the workday, you can push for video conferences with other members of your remote team or even phone calls with clients. These small additions to the day help you build bonds and connections with your remote coworkers and customers, and they add a bit of human connection, even when you’re technically alone in your office. Dedicate a spot for your home office. Don’t work on your bed or couch. It makes it all the harder to draw clear lines around your work life and personal life. Allocate a portion of every hour to stretching. Once you’re immersed in work, it’s all too easy to get into a groove and forget to pause, but a bit of stretching every hour—or even a short walk around the block—can have positive and lasting health effects. Set a timer or use an app if you need the reminder. Personalize your office. If you like where you work, you’re less likely to feel stress or anxiety, which can bubble over into physical problems. Make your office a sanctuary filled with whatever keeps you happy and calm (scented candles, artwork, pictures of family, and so on). Fill out timesheets. Even if your contract or employer doesn’t require it, log your hours worked. Sometimes remote workers are shocked to learn just how long they work in a week. (Use Hubstaff or a similar software platform to easily keep track of this.) When your work hours are under control, it’s easier to make time for everything else. Get dressed for the workday. It’s tempting for remote workers to stay in their pajamas every day, but getting dressed can actually help you feel as if you’re in a work setting and can improve your overall efficiency and productivity. Again, getting your work done early leaves you with more time to dedicate to healthy personal activities. Switch out (at least one) coffee for water. Lots of remote workers run on coffee, which is understandable when so many operate out of coffeehouses. You certainly don’t have to give up coffee altogether, but substitute at least one of your daily cups of joe with water. Implement five-minute mindfulness throughout the day. Meditation doesn’t have to be an all-day pursuit. A five-minute mini session of breathing exercises and meditation can increase productivity, relieve stress, and help you feel calm and centered. Try this intermittently throughout the day. For many remote workers, finding time in the day specifically for health is one of those good intentions that never quite makes it to a reality. However, if you can properly manage your time and implement a variety of small life changes, you can quickly see a boost in your overall health. The extra energy and enthusiasm you’ll gain can contribute to increased efficiency, which then opens up additional doors for even more positive change. When seeking to improve your health, remember that wellness is about a lot more than just the physical piece; mental and emotional well-being all play into your health and should be part of your focus as well. What ideas do you have for working fitness and health into your remote work routine? We’d love to hear about them. 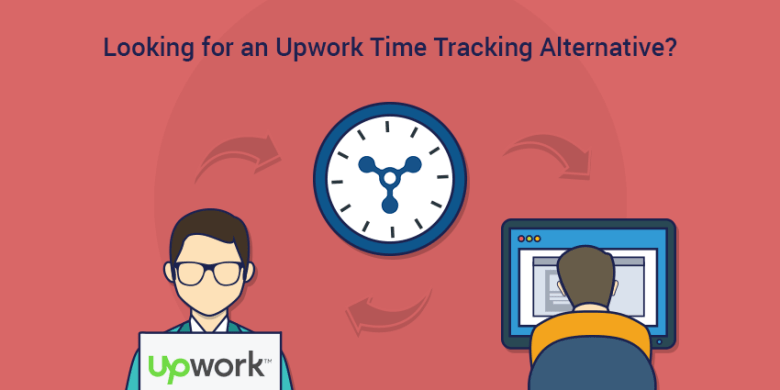 Looking for an Upwork Time Tracking Alternative? Imagine you were put in charge to manage a group of people and you had no prior management experience. To make matters more challenging, it’s a remote team that’s distributed around the world. Where do you start? I hired my first employee when I was 23 and I had no clue what I was doing….